The latest report from Rabobank says that the fundamental supply and demand ratio in the global dairy market is close to rebalancing. Increased production has led to a significant overhang in global dairy stocks in recent months. According to the latest dairy report from the international finance provider Rabobank, a rebalance in the fundamentals of the global dairy market is near. The Dutch lender says that while the world is awash with new milk, market dynamics will be restored in the first half of 2016 as global inventories are eroded and stocks normalise. Rabobank added that more milk has been produced in recent months than the market needs, leading to a significant overhang in global stocks. The EU was the key driver of this supply growth after the abolition of milk production quotas took effect in April. However, with milk prices “painfully low” in New Zealand and other regions, Rabobank expects an erosion of surplus global stocks in the first half of 2016 as production eases. It estimates that the lower price of dairy will lead to a modest growth in consumption in export regions, thereby reducing exportable surpluses and helping to tighten dairy markets. Tim Hunt, global strategist with Rabobank, says that the gradual erosion of inventories will see global dairy stocks normalise in mid-2016. “Rabobank expects the market for new milk to tighten in the first half of 2016, as low milk prices in New Zealand and further price falls elsewhere put the brakes on milk production, while demand rises as falling prices are passed on,” added Hunt. The Dutch bank also noted that the lower prices in global dairy markets will lead to improved buying from deficit regions. However, it added that the Russian market, once a major destination for European dairy, will remain closed because of the trade ban, while Chinese dairy imports in 2016 will only stabilise and not increase. The Rabobank report also mentioned that a strong El Niño climate pattern is currently active, which brings an increased risk (though no certainty) of adverse weather in key producing regions. Were this to happen, supplies could tighten, leading to a further improvement in markets. On a cautionary note, the bank warned that the removal of EU milk quotas, coupled with the continued weakness of the euro, could continue to drive production growth in Europe and slow the clearance of the global stock overhang. It also warned that dairy markets could be adversely affected by the fragility of the global economy, further financial market volatility as China tries to rebalance its economy or even from the escalation of geopolitical tensions in some regions. 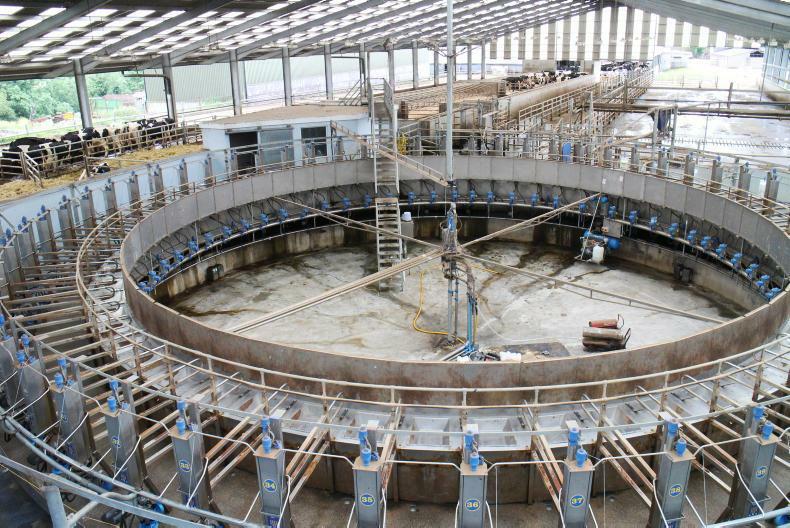 Milk production is down sharply in New Zealand and the Netherlands for March. 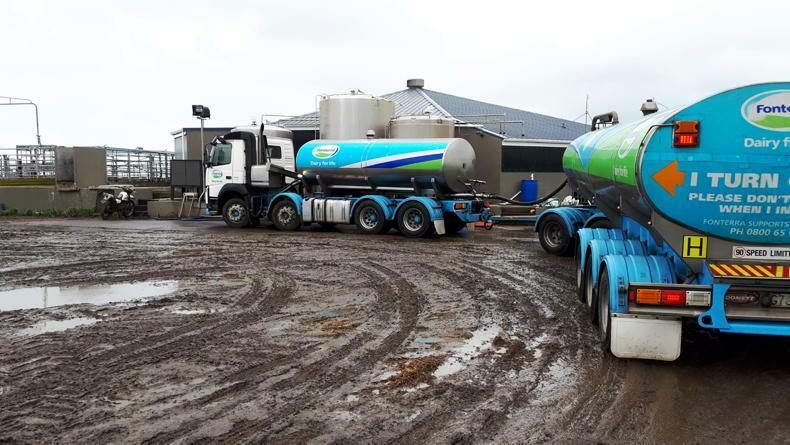 Figures released this week by two of the world’s largest dairy exporters, New Zealand and the Netherlands, show milk production in both countries is tightening. For the first quarter of 2019, global milk supplies remain subdued, which is the main reason dairy market prices have held firm this year. A large flush of milk out of Europe this spring would almost certainly have caused dairy markets to tumble. Figures released this week by two of the world’s largest dairy exporters, New Zealand and the Netherlands, show milk production in both countries is tightening. In New Zealand, the world’s largest dairy exporter, milk production for March plunged more than 8% compared with last year to 1.65bn litres. This follows on from February milk production in New Zealand, which was flat compared to February 2018 at 1.8bn litres. While milk production is now tailing off in New Zealand, the country did enjoy robust growth in milk supplies before Christmas. Milk production in New Zealand for the first 10 months of the 2018/19 milking season (June to March) now stands just below 19bn litres, which is more than 3% ahead of the same period last year. It is likely that New Zealand will finish out the 2018-19 milking season in May with total production close to 21.3bn litres. Closer to home, milk production in the Netherlands continue its monthly decline. For March 2019, Dutch milk production came in at 1.15bn litres, which was down almost 2.5% on last year. Dutch milk collections have now declined for the past 14 consecutive months as phosphate quotas introduced last year limit production. 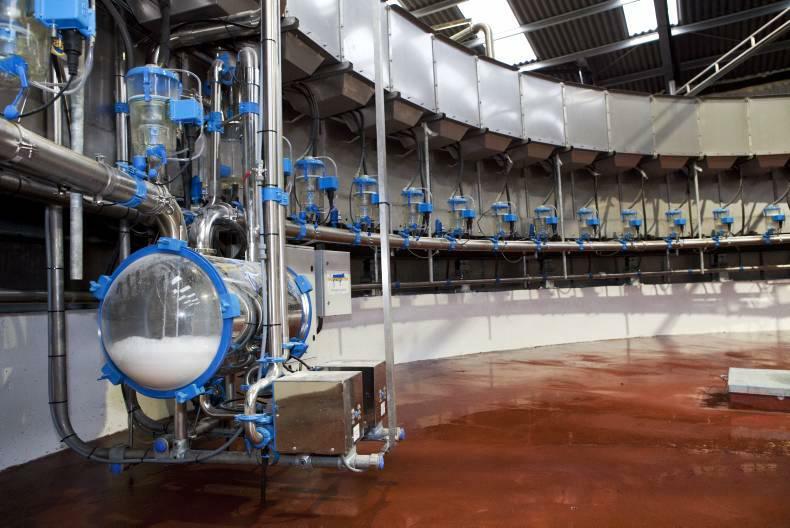 For the first quarter of 2019 (January to March), milk production in the Netherlands stands at 3.3bn litres, which is more than 3% behind last year. The northwestern co-op has held its base price for March supplies. The board of Aurivo has held its price for March milk at 30.27c/l excluding VAT, a co-op spokesperson said this Wednesday. This is inclusive of an unconditional early calving bonus of 1.4c/l. 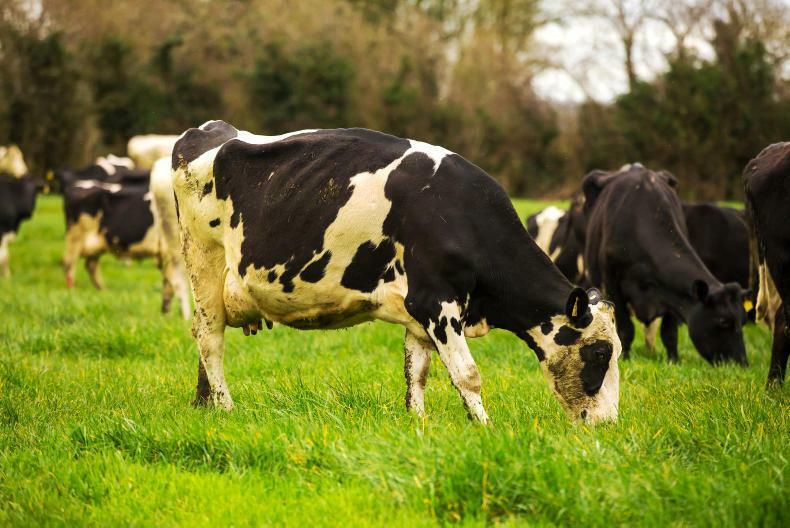 "Market conditions are stable and Aurivo will closely monitor supply and demand in the coming months and pay a competitive milk price in relation to market conditions," the spokesperson added. In recent days, Dariygold and Kerry have also kept their milk price unchanged, but Glanbia and Lakeland have introduced cuts. The GDT index rose to its highest point since July 2017 after posting a tenth consecutive rise at this week’s auction. The volume of product sold at this week’s GDT was quite small at less than 16,200t. Dairy markets received a further boost on Tuesday after the GDT dairy index posted its tenth consecutive positive result since December. At Tuesday’s auction in New Zealand, average dairy prices sold on the GDT auction platform rose 0.5% to just under $3,450/t (€3,050/t). The benchmark dairy index was led higher by increased returns for dairy fats. Prices for butter, cheddar and anhydrous milk fat were all up at this week’s GDT auction, more than offsetting a slight fall in whole milk powder (WMP) prices. Butter prices jumped almost 4% this week to reach $5,545/t (€4,905/t), which is the strongest price level for New Zealand butter in nine months. This puts New Zealand-made butter almost €700/t ahead of European butter prices. Cheddar prices rose 1.5% at this week’s GDT auction to reach $4,320/t (€3,820/t), while anhydrous milk fat prices increased more than 4% to hit $6,125/t (€5,420/t). On the powders side, the price of skimmed milk powder (SMP) increased marginally (+0.2%) to reach $2,460/t (€2,180/t). The price of WMP, which is the most important dairy commodity traded on the GDT platform accounting for more than half of product sold, fell almost 1% this week to $3,270/t (€2,895/t).